Businesses in Kenosha and Racine need reliable snow plowing services to keep their employees and customers safe. Too often during winter, ice is the cause of slip and fall injuries. Reduce the risk of personal injury lawsuits by assuring your parking lot and sidewalks are properly cleared of snow and icy areas salted. Get an estimate on our commercial snow removal contracts by calling us at 262-515-4150 or contact us online. We know the importance of timely, cost-effective snow removal services. Our company has the equipment and experience to clear snow from your parking lot, driveway, and walkways. 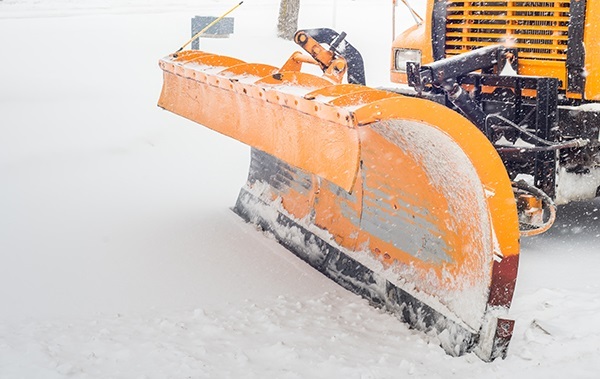 We’re happy to tackle lots small and large; and have the contractors and plows necessary to serve all of our commercial clients with the best snow removal services. Don’t hesitate to compare snow removal contracts to make sure you’re getting the best deal. It’s important to choose a business with the man power to handle several jobs at once and a reputation of customer satisfaction – all of which Armored encompasses. Contact our Kenosha Snow Removal Company for reliable, affordable plowing services. Residential Snow Removal Results were EXCELLENT!